The driving force behind Breslev in Tsfat today is the vision of Reb Gedaliah Aharon Kenig. 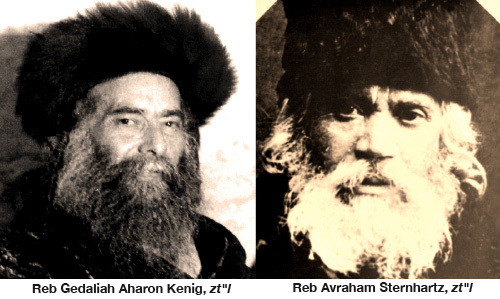 He took upon himself the mission to rebuild the Old City of Tsfat after receiving an oral tradition from his teacher and mentor, Reb Avraham Sternhartz, great-grandson of Reb Noson and the key Breslev leader in the last generation. Reb Avraham told him that it would greatly benefit the world if a community based upon Rebbe Nachman’s spiritual pathway could be established in Tsfat. 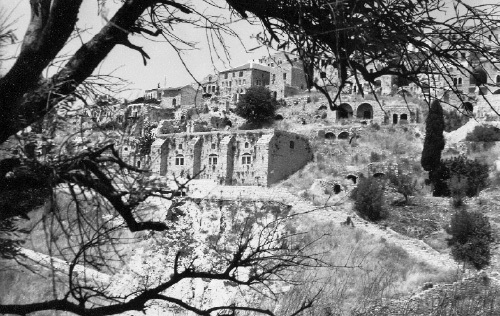 As they stood on the western slope of Tsfat over 60 years ago, Reb Avraham outlined the exact vicinity to Reb Gedaliah that should be rebuilt. It was the same neightborhood where the Arizal and his community had lived almost 500 years earlier and ironically, was the spot most severely devastated by two earthquakes. Unable to recover from the tremendous destruction, the area remained desolate and abandoned. Reb Avraham was passing on a directive based on Rebbe Nachman’s own trip to Tsfat in 1798-1799, when Rebbe Nachman indicated the exact area that should be rebuilt. It was an unfathomable mission. Reb Gedaliah himself had no idea of the effort it would require, but he threw himself into the task. Against all odds, he managed to piece together the area by legally purchasing 80 separate parcels of land from a myriad of sources, at times paying double and triple the price. He passed away unexpectedly in 1980 at the age of 59, shortly before construction began. Just before his passing, he was overheard to say that he was leaving the world for the sake of Tsfat. Reb Gedaliah’s sons continued the physical and spiritual development of the community. Today, the community is under the spiritual leadership of HaRav Elazar Mordechai Kenig, shlita, who together with his brothers, Rav Ephraim and Rav Yitzchak, are continuing to draw down the spirit of Rebbe Nachman into the world.